Official blog and site for the U.S. release of the movie Clean. This blog is run by the distributor Palm Pictures. For Maggie Cheung, it's the process of making a movie that matters. Although Cheung is much in demand in Asia and Europe, for the last 10 years, she's made it a point to occasionally stop being a movie actress and instead revert to her lazy old self, traveling the world. "For myself, I travel for my own curiosity, seeing and meeting different cultures," she said. "Especially over the last 15 years, I've been traveling a lot. And I notice that as I experience other cultures, I learn more about my own Chinese people. All this travel, of course, helps develop me as an actress as well, understanding the overall nature of people more." ...Since [Wong Kar-Wai's "In the Mood for Love"], she's chosen her roles carefully because, as she explains it, "having a good time making films is just as important as having the final product well-received. I admit I'm a bit prejudiced, but it means a lot to me to enjoy the process of shooting movies. ... I'm happy to wait for the right script." ...While Cheung doesn't measure her work by how many accolades she's won, she admits the best-actress award for "Clean" was "a big encouragement. Sometimes, as an actor, you get recognized for what you feel may not be your best work, but with this role, it did feel reassuring -- so much so that if I'm asked by a film festival what movie of mine I'd like to see again, I would probably pick this one out of my résumé." 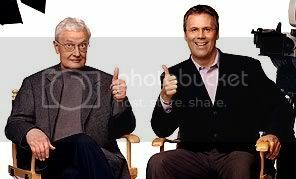 Ebert & Roeper give Clean "Two Thumbs Up"! "It’s a complex, very successful portrayal of an addictive, selfish, volatile soul who knows she might be running out of chances at a decent life. The supporting cast as well is just excellent. Nolte is even better than excellent." "[Maggie Cheung]’s very inward. I mean, the quiet little voice in which she answers the interrogation of the policemen, or when she talks for the first time to Nick Nolte, after all of her trouble, shows a wounded private place, and it’s such a good performance and she does it in both English and she has some scenes where she speaks French, and in both of those languages, which are not her native languages, she is completely, emotionally right exactly on the right note." The “narrative of the second chance” which Clean gives shape to is but the latest manifestation of Assayas' interest in both allowing a degree of figurative and narrative uncertainty within his fictions and vesting a belief in the capacity of human beings to suspend existing ties (to family, community, nation, and more generally to a social and political order they can no longer sanction, from which they feel completely alienated) to gain a better sense of who they are, and perhaps form new associations on that basis. As I briefly hinted earlier, two events informed Assayas' newfound hope in individual, small-scale action even within a hostile environment (for him, the ideological petrification and the exhaustion of revolutionary energy throughout 1970s France). The first was the explosion of punk rock in Great Britain in 1976 and 1977, with its all-out attack on mores, propriety, professionalism, including on what rock music was supposed to be, and its principle that no future was better than a preordained one. Emily (Maggie Cheung) talks with Vernon (Don McKellar) while she is locked up in prision. "Unlike the majority of recovery stories, in which sensationalism seesaws with gooey sentimental uplift, "Clean" shows just how hard it is to start life over in a lower key. Avoiding shortcuts and sugar-coated palliatives, it portrays Emily's acceptance of a more prosaic future as a torturous, quotidian process that moves in fits and starts. Although the screenplay doesn't go into pharmaceutical detail, she progresses from methadone, through illicitly obtained painkillers and marijuana toward relative stability and sobriety." "Be that as it mayóAssayas crafts a bitter, spot-on poison-pen sketch of the airless, stenchy subterranea of the fringe rock world, down to the bad hygiene and inveterate dream spinning, and Cheung stalks through the film's cellars, all-night diners, cretinous fashion strokes, and nimbus of cheap ideas with a guileless awkwardness, never fitting in and aware of being loathed." "A superb effort by a first-rank director, and manna from heaven for Cheung fans." 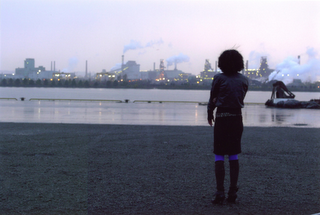 "Cheung plays a musician trying to clean up her act for the sake of her kid and it features a few interesting rock cameos from bands like Metric and trip-hop pioneer Tricky. Nolte is surprisingly low-key in his performance and his chemistry with Cheung is really great, definitely worth seeing." 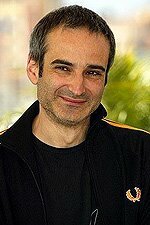 In ComingSoon.net's Exclusive interview with Olivier Assayas, the Clean director talks about working with ex-wife Maggie Cheung and discusses his career. He also reveals that he will be working with the director/star of another Palm film on his upcoming project Boarding Gate. Maggie Cheung, the beguiling veteran actress who collected critical raves like daffodils in the films of such formidable directors as Wong Kar Wai, Wayne Wang and Zhang Yimou, won the Best Actress award at the Cannes Film Festival in 2004 for Clean. Now that it’s finally opening commercially in the U.S., no need to ask why. Speaking French, Cantonese and fluent English, she catalogs every up and down on the carousel of a recovering drug addict with a mix of despair, pain, strength, realism and poignancy that is mesmerizing.
. . . Mr. Assayas wrote the elegant screenplay expressly for Ms. Cheung, and her transformation is riveting, her every move, statement and facial expression suffused with a fragile, complex grace. Her English is patrician and perfect, and she even performs her own musical numbers. Mr. Nolte is, in a word, endearing. Filmed in the scenic beauty of a Canadian fishing village as well as the bright lights of Paris, London and San Francisco, Clean is a stunning visual treat and a resounding testament to pragmatism and faith. Life-affirming without sentimentality, it’s an admirable accomplishment. An emotionally charged story of one woman’s struggle for redemption. This is a Flickr badge showing public photos from Flickr tagged with maggie cheung. Make your own badge here.